Chocobo’s Mystery Dungeon Every Buddy is the next installment in the Chocobo series of Final Fantasy spinoffs. While it’s not a very popular series of games, it has a vast amount of entries spanning multiple console and handheld generations. It’s not surprising to see the series make a return on the Switch with how fond Square Enix has become of the system. But does this return live up to the series expectations? The story is about as convoluted as you would expect from the Final Fantasy series by now. The adventure starts with Chocobo and his buddy Cid exploring a tower in the desert, but when something goes horribly wrong with an artifact they found they get transported to the town of Lostime. The residents of this town have forgotten many important parts of their life due to a mysterious witch and the bell tower she resides over. One egg falling from the sky later, and you have a magical baby that can teleport Chocobo into the memories of the people of Lostime. Now you’re on a quest to restore everyone’s forgotten memories, to find Cid’s grandfather, and to help restore the town to its former glory. A crazy tale for sure, but one that’s worth seeing play out! There are two parts to this game: the overworld and the dungeons. In the dungeons you move on grid tiles, where no enemies moves until you do. Here you’ll explore randomly generated levels, meaning the dungeons’ layouts will change each time you enter. You fight enemies with a standard kick attack or by using abilities that you get from choosing a job class. There are 14 different job classes, each with their own pros, cons, and abilities that you can unlock by increasing your Job Rank. Whenever you take damage you can just walk it off and recover health as you move around. You can even walk in place by holding down both the B and A buttons. However, it’s not just your health you need to worry about. You have a hunger meter and the more you explore the lower it gets. If it hits zero your health will drain even faster. It’s important to maintain your hunger, but it won’t be easy with a large variety of traps hidden that are specifically designed to drain your food and health or even put a negative status effect on your character. It’s not all bad news though because some of the traps might bestow positive effects as well. It’s up to you if you want to take the risk. The overworld plays much differently. Instead of moving on a grid, you can run around freely. There are several shops and locals that you will need to visit on your quest, though many shops are inaccessible to you until you complete the challenge dungeon tied to them. Out of all the places in the game, one of the most important is the church. Here you will be able to lift any curses on you and access challenge dungeons. Other activities in the overworld break up the dungeon crawling. You’ll be able to interact with a variety of objects and you can go to a playground and goof around or even go fishing, which can yield special items that are very helpful on your journey. You can also exchange the fish at the storage center to increase your maximum storage capacity. 12 years after its initial 2007 launch on the Wii, Square Enix has finally remade Final Fantasy Fables: Chocobo’s Dungeon in all its HD glory. Besides the enhanced visuals there are also some new additions to the game, such as the new Buddy system. When you defeat monsters you collect buddy points, which can be used to unlock monsters as your allies. There are over one hundred monsters to add to your team, and even more friends you can unlock by playing through the story. This also means that you can now play local co-op with a friend! The only complaint I have is that the parties are just limited to two team members. Since you have over a hundred different characters to choose from, chances are you’ll never get to try out a majority of the characters, since you always have to choose just one over the others. Having a four party team would have let you bring along more monsters, giving you a reason to try out a majority of the roster. While this game seems cute and very beginner friendly, that’s not entirely the case. The game does give out a heaping helping of tips and advice for players in each dungeon, but when you play the game you realize why it needs to give out so many. It’s far harder than you would think from just a look at it. The game starts out easy with 5-6 floor dungeons that aren’t too challenging, but a few dungeons in and they kick it up to 22 floors loaded with game-ending traps and enemies that can kill you in just a few hits. One piece of advice that I can share is that this isn’t a game you can brute force your way through. You need to take advantage of everything, from the items you collect to your special abilities that can do more than just deal damage. While anyone can jump into this game, you won’t get very far unless you start taking its advice to heart and start adapting to its rules. Even though the difficulty becomes harshly difficult in such a short time, it’s a very rewarding style of challenge. In the end, Chocobo’s Mystery Dungeon Every Buddy looks and sounds great. It has Final Fantasy elements woven throughout and the enemy designs are fantastic to look at. It’s one of the most adorable experiences on the Switch. One look at the Chocobo rolling around on a bed and you know you’re in for a charming time. You can even dress the little guy up in various costumes! The cute aesthetics hide a decent challenge underneath, so this isn’t necessarily a game aimed at children. It will take skill and persistence to vanquish the monsters in the dungeons. There’s a lot to like here and it’s perfect for playing on the TV or on the go. Whether you’re looking for a serious Final Fantasy experience, or looking to have a fun time with an adorable fluffy yellow bird, you’re going to need this game in your Switch library. The game features bright and colorful graphics and charming characters, and yet somehow manages to marry them with challenging gameplay. 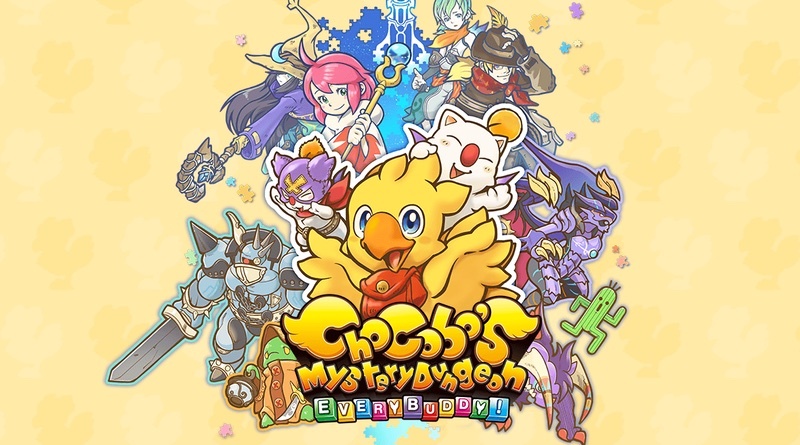 Chocobo’s Mystery Dungeon Every Buddy is a great fit for the Switch!